Volunteers and Youth Counselors are needed! Register at the link above - scroll to the bottom left! Youth Counselors must be entering 6th grade in Fall 2019. To sign up, contact Mary Elizabeth Neal. Join us on Sunday, August 19for our annual back-to-school tradition! All students may bring their backpacks to worship for a moment of blessing and prayer for another great school year. Teachers and childcare givers are invited to take part as well. As is our tradition, Highlands will serve Thanksgiving lunch to our Community Ministries friends on Thursday, November 28. Prior to the meal, we need volunteers to cook desserts and sweet potato casseroles or purchase fresh fruit, as well as set up and decorate the Fellowship Hall. On Thanksgiving Day, we need volunteers to help with serving, welcoming, and clean up. If you will be out of town on Thanksgiving, please consider making a donation to assist with the purchase of the meal. Checks may be made to HUMC with “CM Thanksgiving” in the memo line and dropped in the offering plate during worship or delivered to the church office. To volunteer or for more information, contact Martha Council or Deb Welsh. Christmas breakfast will be served in the Fellowship Hall from 9 to 10 am. We need breakfast casseroles, fresh whole fruit, juice, and milk. Drop off items during the Christmas Eve services or bring them on Christmas morning. If you can’t serve but want to help, please consider making a donation to the Community Ministries fund to assist with the purchase of blankets, gloves, hats, and socks. Contact Deb Welsh at deb@highlandsumc.net to sign up to serve and get additional information, including volunteer arrival time. As is our tradition, Highlands will serve Thanksgiving lunch to our Community Ministries friends on Thursday, November 26. Prior to the meal, we need volunteers to cook desserts and sweet potato casseroles or purchase fresh fruit, as well as set up and decorate the Fellowship Hall. On Thanksgiving Day, we need volunteers to help with serving, welcoming, and clean up. As is our tradition, Highlands will serve Thanksgiving lunch to our Community Ministries friends on Thursday, November 25. Prior to the meal, we need volunteers to cook desserts and sweet potato casseroles or purchase fresh fruit, as well as set up and decorate the Fellowship Hall. On Thanksgiving Day, we need volunteers to help with serving, welcoming, and clean up. As is our tradition, Highlands will serve Thanksgiving lunch to our Community Ministries friends on Thursday, November 24. Prior to the meal, we need volunteers to cook desserts and sweet potato casseroles or purchase fresh fruit, as well as set up and decorate the Fellowship Hall. On Thanksgiving Day, we need volunteers to help with serving, welcoming, and clean up. As is our tradition, Highlands will serve Thanksgiving lunch to our Community Ministries friends on Thursday, November 23. Prior to the meal, we need volunteers to cook desserts and sweet potato casseroles or purchase fresh fruit, as well as set up and decorate the Fellowship Hall. On Thanksgiving Day, we need volunteers to help with serving, welcoming, and clean up. As is our tradition, Highlands will serve Thanksgiving lunch to our Community Ministries friends on Thursday, November 27. Prior to the meal, we need volunteers to cook desserts and sweet potato casseroles or purchase fresh fruit, as well as set up and decorate the Fellowship Hall. On Thanksgiving Day, we need volunteers to help with serving, welcoming, and clean up. Join us on Sunday, March 3 following the 10:30 am worship service for a mini-retreat to learn more about the philosophy of the Catechesis of the Good Shepherd and see a few lessons presented by Beverley Hoyt of St. Mary’s on the Highlands. A light lunch will be served, followed by the lesson presentations. For more information or to reserve your spot, contact Lauri Soong at laurisoong@hotmail.com or Reggie Holder at reggie@highlandsumc.net. On Sunday, March 3, we will celebrate Camp Sumatanga during 10:30 worship. Information about summer camps will be available, and parents of 1st–3rd graders can sign up for day camp transportation. The congregation is invited to wear Camp t-shirts and name tags to worship. Children's Choir rehearsals will begin on Sunday, February 17 during the 10:30 a.m. worship service on non-communion Sundays. Following the Children’s Moment, children will be dismissed to Children’s Choir rehearsal. Children ages 4 to 2nd grade may then attend Children’s Church in the Fellowship Hall; older children will return to sit with their families. Children's Choir is open to all children in elementary school and meets in room E208. Children's Choir sings during 10:30 worship about once a month. This year, the children will sing on Sunday, March 17; Palm Sunday on April 14; and Mother’s Day on May 12. Highlands will host the Birmingham chapter of March for Our Lives and Moms Demand Action as we remember the 17 young people and teachers that lost their lives at the Marjory Stoneman Douglas High School shooting on Feb-ruary 14, 2018. We will also honor victims and survivors of gun violence in our own community. 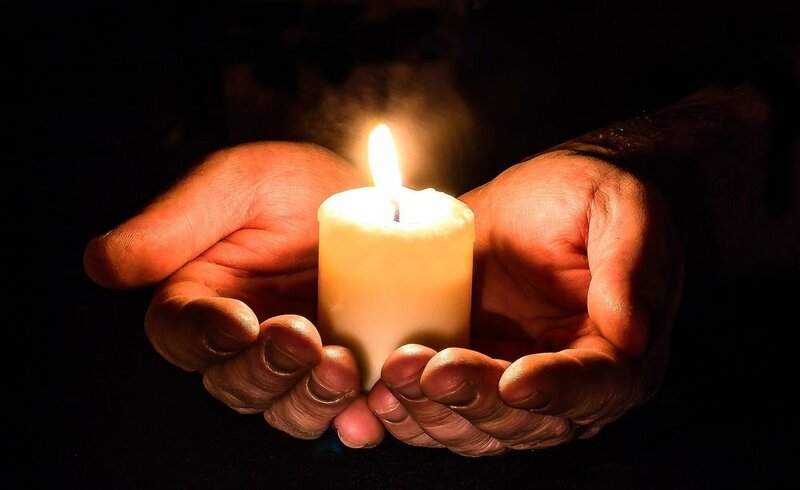 Prayer vigil will take place in the Sanctuary at 6:30 pm on Thursday, February 14. Attendees are encouraged to enter through the front lawn doors. Those with limited mobility may park in the church parking lot directly behind the church building just off Richard Arrington Jr. Blvd. and enter through the Greeting Space. Mandatory dress rehearsal for all children participating in this year’s Christmas Pageant on Sunday, December 23. Rehearsal for children playing main roles in this year’s children’s Christmas pageant on Sunday, December 23. Choreography workshop for Advent Sacred Dance. Sacred Dance is open to boys and girls in 1st grade or older. As is our tradition, Highlands will serve Thanksgiving lunch to our Community Ministries friends on Thursday, November 22. Prior to the meal, we need volunteers to cook desserts and sweet potato casseroles or purchase fresh fruit, as well as set up and decorate the Fellowship Hall. On Thanksgiving Day, we need volunteers to help with serving, welcoming, and clean up. Service Project for children and families to fill the freezers for Highland’s Community Ministries Hospitality Hour. Sign up for this year’s Christmas Pageant at www.highlandsumc.net/christmas-pageant. Social outing for all Highlands families at the Birmingham Greek Food Festival. All Are Welcome! Bring a dish to share! All are welcome! Those who wish to serve in worship as an acolyte this year are invited to an overnight training event on Saturday, September 8, beginning at 5 pm. This event will include meals at local restaurants, acolyte instruction, a tour of the bell tower, fun and games, candlelight communion, and a sleepover at the church! Acolyting is open to adults, youth, and children in 4th grade or older. All current acolytes are requested to attend! Adults who would like to serve as acolytes this year are welcome to attend instruction sessions only – no need to spend the night. Registration is open at www.highlandsumc.net/acolyte-training. For more info, contact Brian Bellenger at bellengerb@gmail.com or Mary Elizabeth Neal at maryelizabeth@highlandsumc.net. Parents of children are invited to a brief, yet important meeting on Sunday, August 26 following the 10:30 worship service. Parents will meet in the Atria and children will remain in Children’s Church during our gathering. Older children may be dropped off in the Fellowship Hall to be supervised while we meet. We will review some Atrium procedures and look at our fall schedule during this time. We will hold the meeting to twenty minutes. This has been an amazing year in Atrium 3! To close out this great year, we are planning an outing on Saturday, August 25 at 10:00 a.m. for an age appropriate tour of the Civil Rights Institute, a visit to Sixteenth Street Baptist Church and then picnic in Kelly Ingram Park with lunch. We are asking students to chip in $15 for a donation to Sixteenth Street Baptist and lunch and adults to chip in $30 for admission to the CRI ($15) and donation to Sixteenth Street and lunch. Weily and Lauri Soong and Kristin Harper and Reggie Holder will be chaperoning so you can feel free to drop your child off or you are welcome to come along with us. Please RSVP to Reggie Holder and include how many to count on. We will meet at the Fred Shuttlesworth statue outside the CRI at 10:00 a.m. at the corner of 16th Street and 6th Ave. North. The Children's Ministry Team will meet on Sunday, August 19 to plan activities for the coming school year. 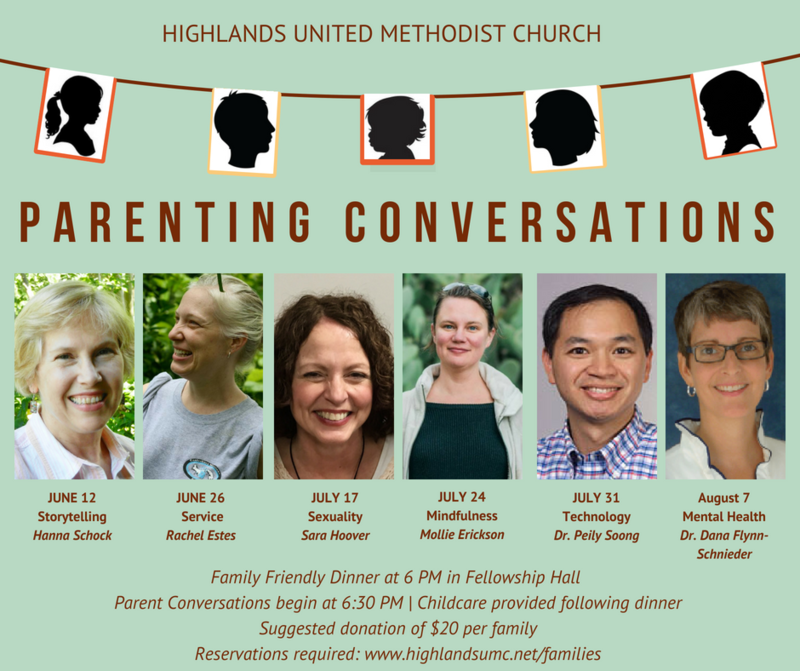 This meeting is open to all children parents! Contact Lauri Soong for more information. A casual potluck lunch gathering following 10:30 worship, hosted by Open Table. No program, no agenda - just warm fellowship and delicious food. No reservations needed, and you do not have to bring a dish to attend. All Are Welcome!